The WBC recently announced a Feb. 5 deadline for heavyweight champion Deontay Wilder and Tyson Fury to come to terms for a rematch or else be subject to a purse bid. 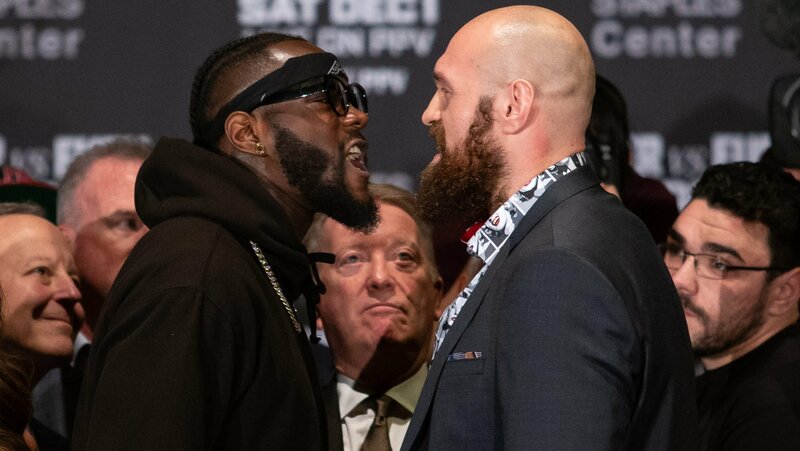 In the event of a purse bid, Wilder will get a 60-40 split for the title fight. The WBC’s announcement caught the attention of promoters everywhere, including one Eddie Hearn of Matchroom Boxing. 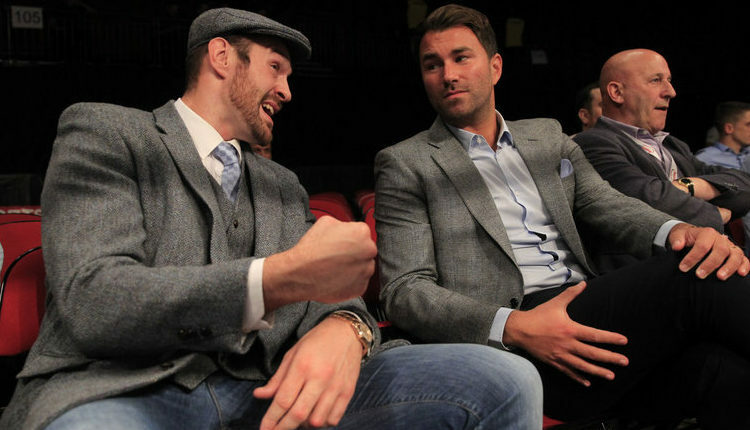 Hearn, who is the promoter of unified heavyweight champion Anthony Joshua, said while he doubt the fight goes to a purse bid, he will go all out on securing the rights to the fight if it happens. Hearn adds that seeing a 60-40 split could also make him rethink possibly getting either fighter to face Joshua on April 13 at Wembley Stadium. Joshua and Wilder aggressively tried to negotiate and come to terms on an undisputed title bout last year, only for those to fall through. The competitors for the UFC’s first event on ESPN+ took to the scales on Friday for the official weigh-ins for UFC Fight Night Brooklyn on January 19th. 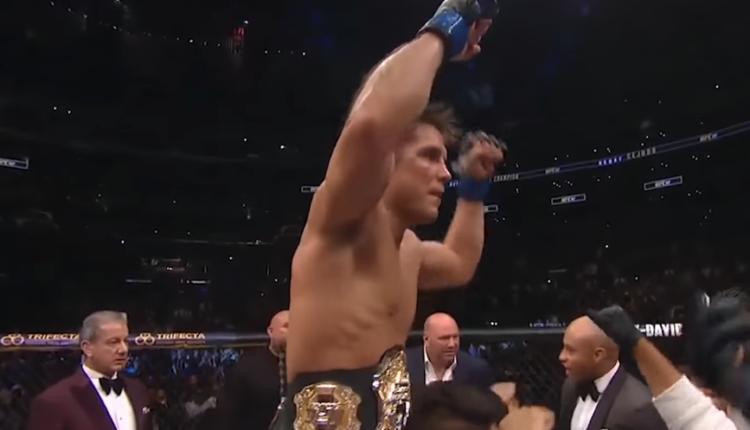 Headlining the card is a flyweight showdown between defending champion Henry Cejudo and T.J. Dillashaw, both of whom were under the 125 pound weight-limit. 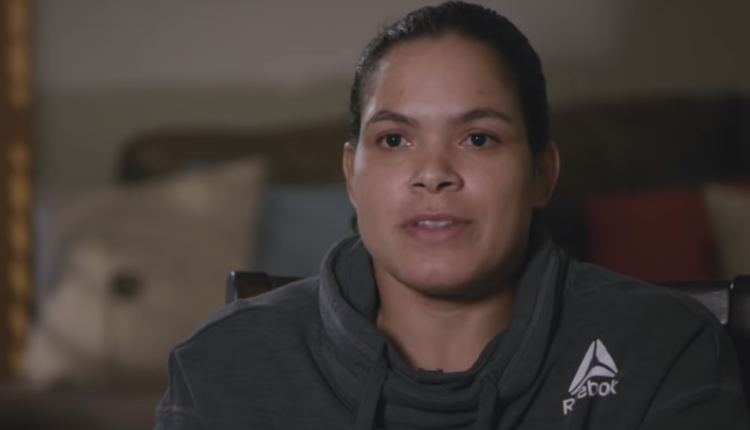 All of a sudden, it seems like Amanda Nunes won’t be competing in the UFC’s women’s featherweight division for long after all. Nunes, who has been the UFC women’s bantamweight champion since winning the title at UFC 200 in July 2016, knocked out Cris Cyborg in less than a minute at UFC 232 last month to win the UFC women’s featherweight title. This made Nunes the first woman to hold two UFC titles simultaneously — the third overall UFC fighter to do such — and the first woman to win UFC titles in two weight classes at any point —the sixth overall fighter in UFC history to do so. Cyborg, who tasted defeat for the first time since her 2005 pro MMA debut, has pushed for an immediate rematch, which UFC President Dana White wasn’t interested in doing. But now in a twist, it appears Nunes has no plans to stick around and fight in the 145-pound weight class. In a Twitter response to Cyborg, Nunes also suggested Cyborg face Kayla Harrison, a former two-title gold medalist judoka who competes at lightweight in the PFL and is 3-0 in her professional MMA career. Nunes trains with Harrison at American Top Team. Nunes, who was recently also called out by former bantamweight champion and featherweight title challenger Holly Holm for a title opportunity, further teased moving down to 125 and facing Valentina Shevchenko once more to claim the women’s flyweight title and earn triple-champion status. 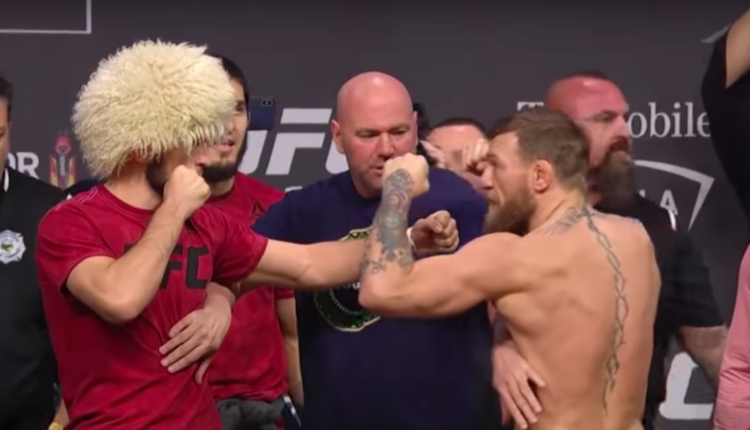 UFC President Dana White has previously stated he wants to see Khabib Nurmagomedov and Conor McGregor have a rematch of their UFC 229 lightweight title clash. The next step for both fighters’ careers pend on a hearing with the Nevada State Athletic Commission (NSAC) later this month for a melee that followed Nurmagomedov’s fourth-round submission win at the October pay-per-view. If one were to ask Javier Mendez, the head coach of the American Kickboxing Academy, where Nurmagomedov trains at, neither he nor Ali Abdelaziz are sure what’s next for the UFC lightweight champion. Mendez feels an immediate rematch with McGregor isn’t the right way to go things, but he tells Off the Brawl that McGregor can’t be denied as the fighter who draws the most. That’s the biggest money fight in MMA bar none. There is nobody in MMA that can bring that kind of money that Khabib and Conor can in the rematch. That’s the reason I would want that, but Khabib may want a different thing, Khabib may want Tony [Ferguson]. It’s hard to say because Jan. 29 hasn’t happened. We don’t know what [NSAC] are going to do, how long they’ll be suspended, how much money…but from my point of view I would want the rematch for the prizefight. It’s bigger, it’s three or four times as much. Eddie Hearn is not happy that Amir Khan decided to bypass a showdown with fellow Matchroom Boxer Kell Brook, but Khan isn’t bothered. 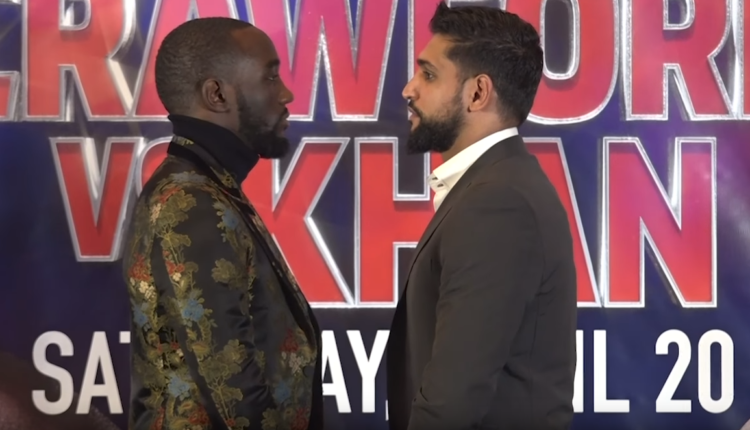 The Bolton boxer was near a deal with Brook for a showdown that may have headlined Wembley Stadium, but Top Rank offered a reported $5 million for Khan to face WBO welterweight champion Terence Crawford instead. Khan, who started his comeback in 2018 by signing with Matchroom, knows Hearn is mad, but won’t let it effect his destiny. “Eddie is p***ed off that I’m not fighting Brook. I’ll admit that this was one of the hardest decisions of my career. The fight with Kell was very close to being made. In the end, the opportunity to cement my legacy by boxing for a third world title against a man rated among the best pound-for-pound fighters in the world was too good to turn down,” Khan said to Daily Mail. “It was a bit more money but no, not much more,” Khan said of Hearn’s offer to fight Brook, but the world title and a chance to define his legacy was more important.